To make it a very special day here are some gift ideas to surprise your parents in a special way. Send DIY photo gifts for Parent's Day. 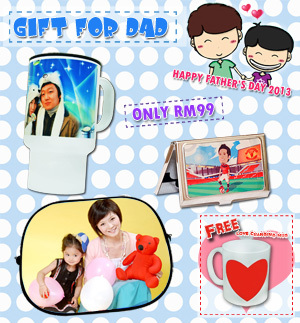 Send photo mugs, photo cushions, photo T-shirts with daddy & mummy photos this Parents’ Day and say thank you to your biggest fans and greatest heroes. 3 - 5 days delivery upon designs & payment are confirmed.